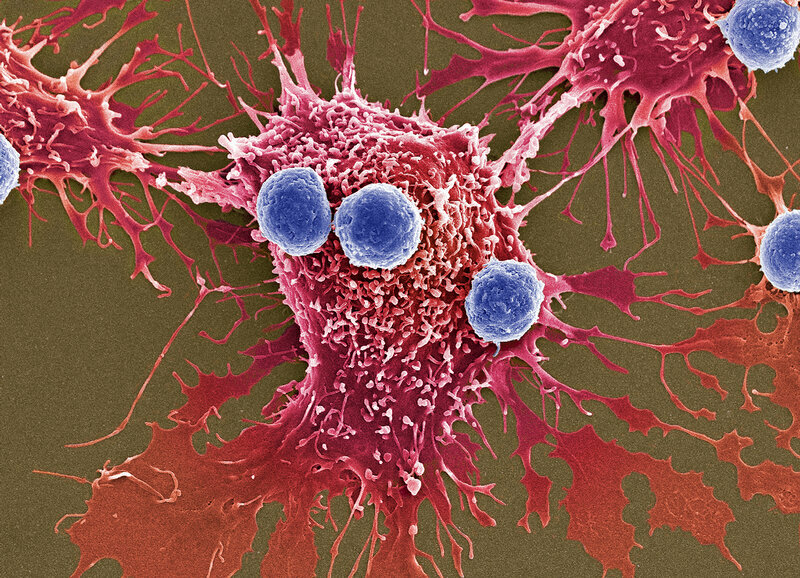 "We're entering a new frontier in medical innovation with the ability to reprogram a patient's own cells to attack a deadly cancer," FDA Commissioner Scott Gottlieb said in a written statement. The treatment involves removing immune system cells known as T cells from each patient and genetically modifying the cells in the laboratory to attack and kill leukemia cells. 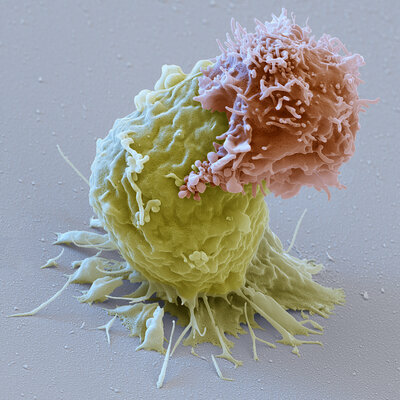 The genetically modified cells are then infused back into patients. It's also known as CAR-T cell therapy. "Kymriah is a first-of-its-kind treatment approach that fills an important unmet need for children and young adults with this serious disease," said Peter Marks, director of the FDA's Center for Biologics Evaluation and Research. "While Novartis' decision to set a price at $475,000 per treatment may be seen by some as restraint, we believe it is excessive," says David Mitchell, founder and president of Patients For Affordable Drugs. "Let's remember, American taxpayers invested over $200 million in CAR-T's discovery." It read like a nightmare excursion through medical tourism. Three women blinded by an unproven “stem cell” treatment. But it didn’t happen in South East Asia, Russia or Eastern Europe. It happened in Florida. The story was reported in the New England Journal of Medicine. The women in Florida paid $5,000 each for treatment. The clinic was advertising a stem cell treatment for the dry form of age-related macular degeneration. The company was listed on ClinicalTrials.gov, so the women thought they were participating in an approved research trial. But the clinical trials website is simply a registry site of human studies. It does not examine the scientific validity, ethics or safety of a trial. The treatment on these three women involved taking fat tissue from their stomach, mixing these “stem cells” with a collection of vaguely defined additives and then injecting it into both of their eyes. The treatment was “off-the-charts dangerous,” said Thomas Albini, MD, the doctor the women saw after experiencing the devastating consequences of the stem cell treatment. Before the treatment, the women had lost some vision from their disease, but were still able to drive. A week after the treatment, they were legally blind. There are more unregulated clinics marketing so-called stem cell treatments than ever before. A recent study in Cell Stem Cell estimates that 351 businesses are now operating nearly 600 clinics in the United States. These clinics have gotten around U.S. Food and Drug Administration (FDA) oversight on a technicality. The clinics take cells from the patient, manipulate them just a little and then inject them back into the patient. The FDA hasn’t been involved because the cells are coming from the same person on whom they are being used. Ajay Kuriyan, MD, is an ophthalmologist at the University of Miami Hospital. Dr. Kuriyan said he didn’t understand the scope of the problem until he treated one of the injured women. There are places doing proper stem cell research, with appropriate oversight. Patients need to know the difference. Following the stem cell treatment damage, Dr. Albini treated two of the three Florida women at Bascom Palmer Eye Institute. He recommends that patients ask whether the trial they are considering is registered with the FDA. “All legitimate stems cell research is registered with the FDA through the filing of an Investigational New Drug Application,” Dr. Albini said. “Most of these rogue clinics seems to pride themselves on institutional review board approval." Another red flag is payment. Most large clinical trials don’t require payment. Some smaller clinical trials may have a minimum cost. Patients may be responsible for their co-pay or a typical out-of-pocket deductible. Anything above and beyond should be viewed more cautiously. Another way to protect yourself is to simply talk to your doctor, said Sunir Garg, MD, an ophthalmologist at Wills Eye Institute. Stem cell-based treatments have been widely reported in the news as true progress is made. Dr. Garg says some of his patients read these promising stories and feel frustrated, that perhaps bureaucracy or some hidden agenda is preventing them from getting a miracle cure. “What patients don't appreciate is that these trials are all in early-stage development, the retina is extraordinarily complicated, and replacing or augmenting one specific cell type may not do much to improve visual function,” Dr. Garg said. The American Academy of Ophthalmology wants to reduce or eliminate unlicensed clinics in the United States. In June 2016, the Academy asked the FDA to tighten regulations and increase investigations into treatments given outside of clinical trials. SAN FRANCISCO — Studies show there is a gender gap in eye disease. Women are more likely than men to suffer from sight-threatening conditions such as age-related macular degeneration (AMD), cataracts, and glaucoma. In support of Healthy Vision Month in May, the American Academy of Ophthalmology reminds women to make vision a top priority. Women make up 65 percent of AMD cases; 61 percent of glaucoma and cataract patients are women, and 66 percent of blind patients are women. Why the inequity? There are a few theories. On average women live longer and many eye problems are age-related. Some eye conditions, such as dry eye, are more common in women, young and old. Social and economic factors affect women’s access to eye care, especially in developing countries. Whatever the cause, there are a few unique vision problems women need to watch out for more than men. Dry eye occurs at double the rate in postmenopausal women. In general, women are more susceptible to autoimmune diseases than men, many of which affect vision, such as lupus, Sjögren’s syndrome and hyperthyroiditis. Also, pregnancy can cause vision changes due to the hormones pregnant women experience. Get a comprehensive medical eye exam at age 40. Early signs of disease or changes in vision may begin at this age. An exam by an ophthalmologist – a physician who specializes in medical and surgical eye care – is an opportunity to carefully examine the eye for diseases and conditions that may have no symptoms in the early stages. Wear sunglasses. Exposure to ultraviolet UV light raises the risk of eye diseases, including cataract, fleshy growths on the eye and cancer. Always wear sunglasses with 100 percent UV protection and a hat while enjoying time outdoors. Does Pre-Eclampsia During Pregnancy Increase Risk to Mothers’ Eyes? A study published in Obstetrics and Gynecology suggests that pre-eclampsia may be associated with retinal disease in the mother later in life. Pre-eclampsia is a pregnancy complication characterized by high blood pressure and large amounts of protein in the urine. According to this study, more severe and earlier-onset pre-eclampsia was associated with even higher risk. The American Academy of Ophthalmology has concerns about the way this research was conducted and its conclusions. At the moment there is no reason to suggest any change to eye health care for pregnant women or follow-up care for women who have had pre-eclampsia in the past. Pregnancy can cause temporary changes in vision for mothers including dry eye and slight near-sightedness. Pre-eclampsia, which occurs in 3 to 5 percent of pregnant women, can result in significant eye changes such as retinal disease and even retinal detachment. All women should get a baseline eye exam from an ophthalmologist by age 40. Women with diabetes should be examined yearly for retinal and other ocular disease, regardless of age. Your ophthalmologist may also recommend an examination schedule based on the specifics of your case.